PVC containment sumps are lightweight, one-piece and easy to install without tools. 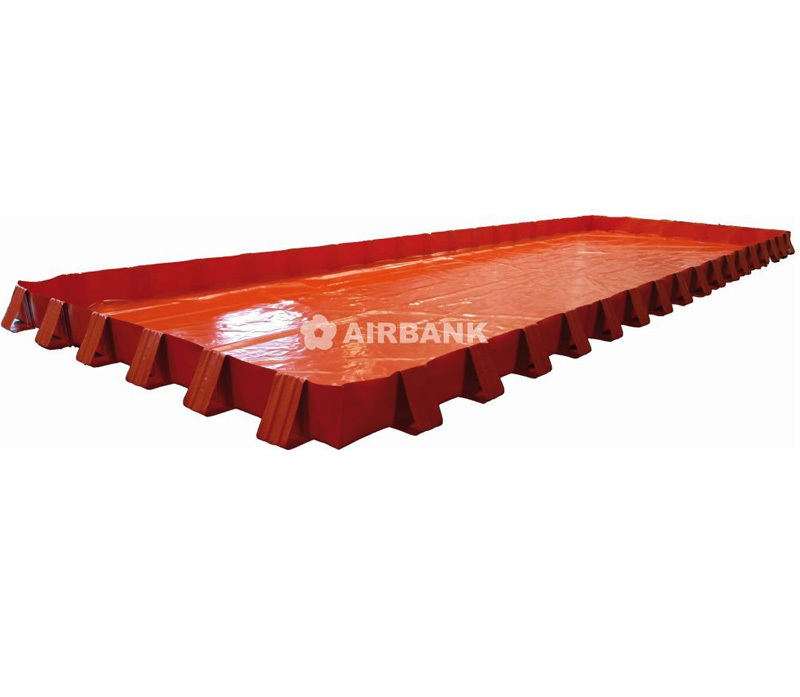 The flexible material of which they are made makes them extremely adaptable to any need and space requirement. 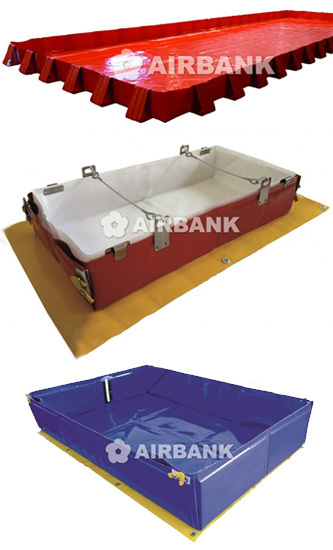 The sumps are easy to wash and reuse, long-lasting and resistant to all chemical fluids and fuels. 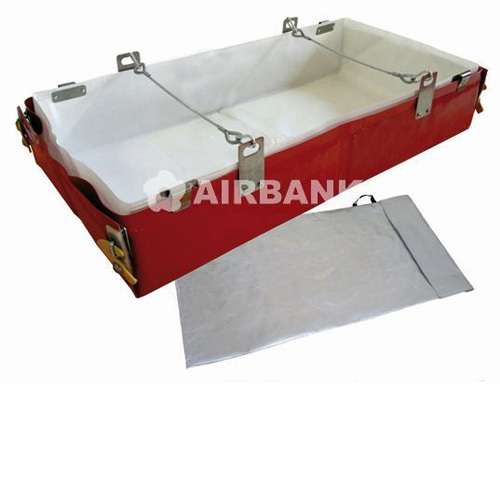 The portable safety sumps are ideal to store kegs, jugs or cisterns, by collecting in the basin underneath any accidental leakage or the fluids during pouring operations. 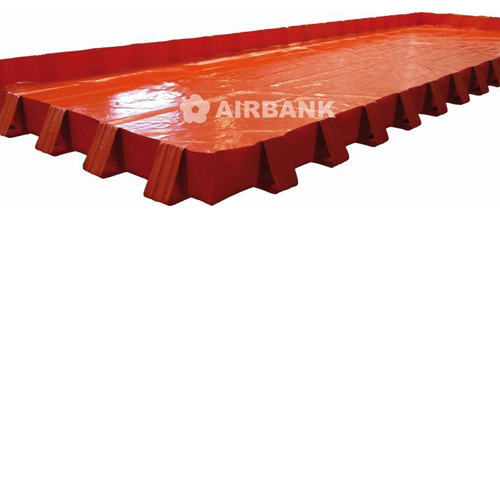 Portable spill containment system offering high protection against large spills and leakages. 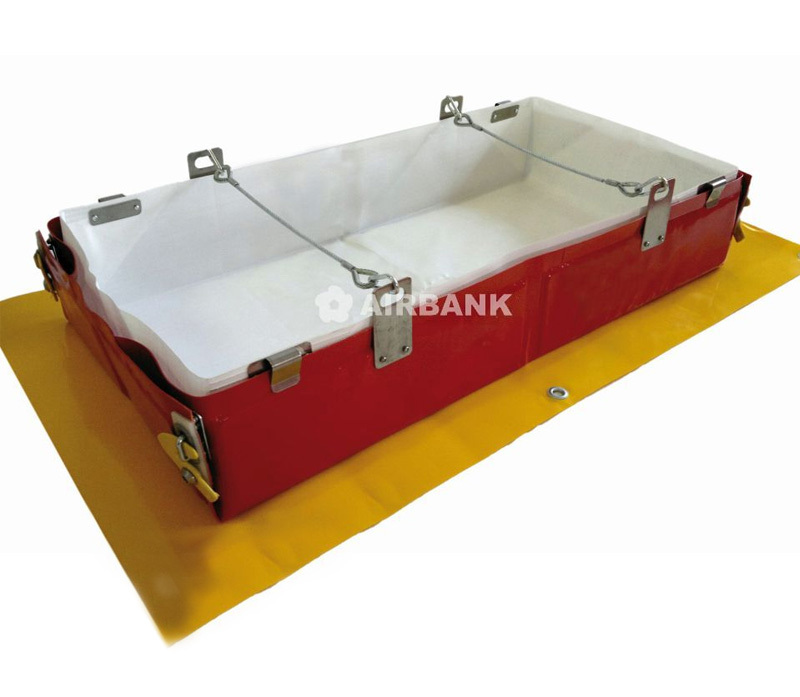 Innovative containment product with lightweight design, easy to assemble and ready to use. 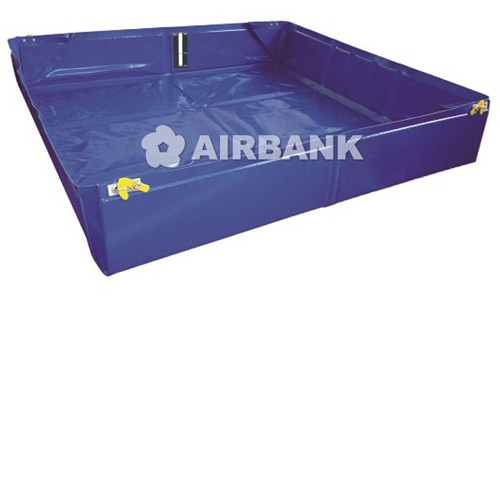 This portable quick-installation containment sump is an emergency sump for accidental spills of liquid chemicals and all petroleum and fuel/oil products – diesel, hydraulic fluids, and petrol – which can be adapted to any surface and space because it is completely flexible. 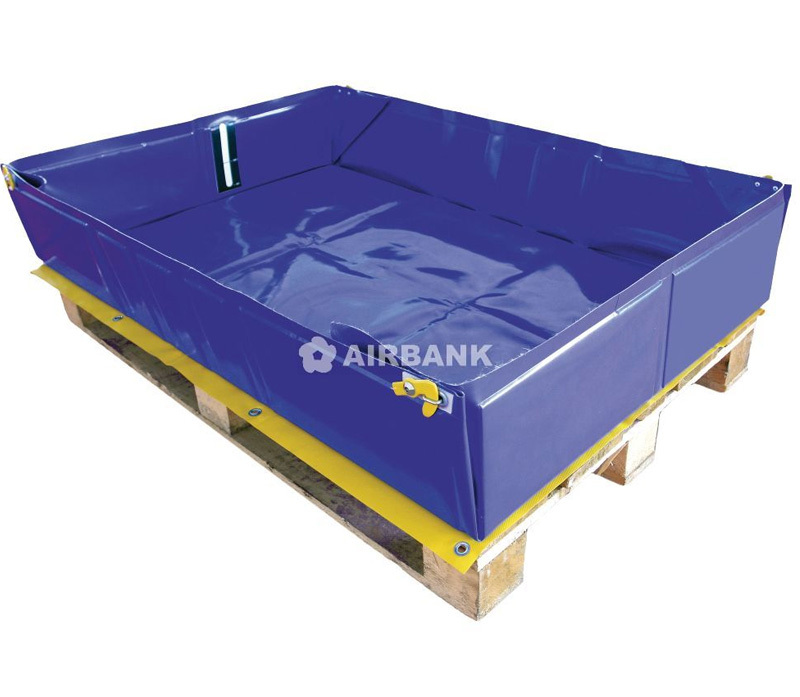 This quick-installation containment sump for pallets is an emergency sump for accidental spills of liquid chemicals and all petroleum and fuel/oil products – diesel, hydraulic fluids, and petrol – from drums placed on pallets.